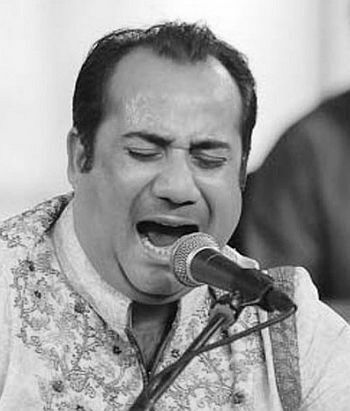 The Directorate of Revenue Intelligence definitely could have placed noted Pakistan singer, Rahat Fateh Ali Khan, under arrest, but decided to release him after enormous diplomatic pressure. Khan, instead, had his passport confiscated and was asked not to leave the country before the probe was over. 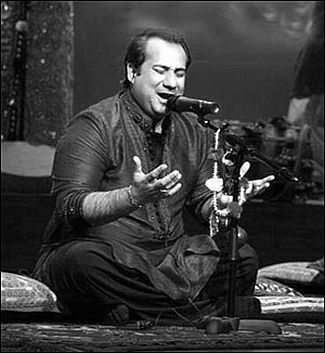 A senior DRI official, under condition of anonymity, told rediff.com that there was severe diplomatic pressure for the singer's release. In the end, DRI sleuths managed to question Khan for about 28 hours before he had to be released. 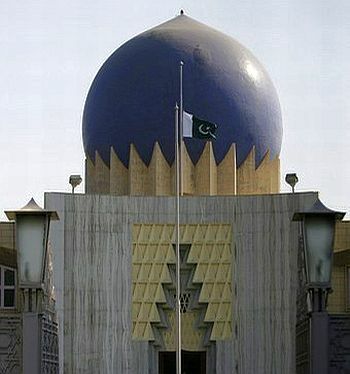 A two-member team from the Pakistan High Commission was constantly in touch with the DRI over proceedings. They, however, were not given access to the singer during his detention period. The DRI asked Khan to reappear before them on February 17 -- a deadline DRI has set for themselves to complete the probe against the singer. "He has been asked to appear again for questioning on February 17 and will remain in the country until investigations are complete. We have not registered any case against him yet. 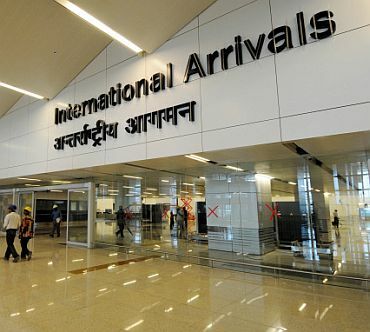 If our probe finds irregularities, we will invoke relevant sections of the Customs Act and Foreign Exchange Management Act," R K Sharma, additional director-general of DRI, said. Another DRI officer said that the biggest problem they faced was placing the singer under arrest, as he was a foreigner. "If in his place, had an Indian been detected carrying such a large amount of foreign currency, he could have been placed under arrest immediately. We had to detain Khan without formally slapping charges against him because he is a foreigner. In addition, he is an international artist and had been in the country for about 10 days, performing at various concerts, which would have accounted for the money," the officer said. According to the officer, the Sufi singer, who is a hit on both sides of the border, told them that he only took payments in cash. "During his questioning, he kept telling us that he dealt with producers of different concerts only in cash. His event manager, Chitresh Srivastava, took cash from producers of the concerts from the different event management companies, which he then gave to Khan," the officer said. "He also kept saying he had to take the payments in cash since he did not have a bank account in India. When asked, he admitted to carrying undeclared foreign currency in earlier instances as well without being detected. His explanation was that he was not aware of the laws," the officer said. The officer said that they have contacted different event management companies based in Mumbai, Delhi, Ahmedabad, Rajkot and Jaipur to get details of his performances and the amount of money that was exchanged. They will then compare the money that was found in his possession to the amount declared by the event management companies for discrepancies. The officer said that they have raided the Mumbai-based office of the event management company, which takes care of Khan's concerts in India. Khan, the winner of this year's Filmfare award for best male playback singer, had performed last in suburbs of Jaipur at a private wedding four days ago. 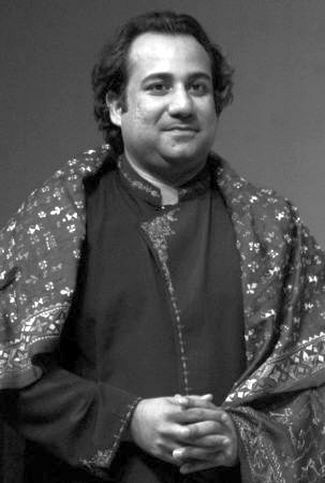 Prior to that he has performed in six other locations over a period of ten days as a part of Indo-Pak peace initiative, 'Aman Ki Asha'. Acting on a tip-off, a team of DRI officials had detained Khan when he was clearing customs on Sunday evening to take an Emirates flight to Lahore via Dubai. They found US $24,000 in Khan's hand baggage and $25,000 each on two of his troupe members. Another $50,000 was recovered from his checked in luggage. Legally, Khan is allowed to carry US $10,000 -- in cash, bank drafts and traveller's cheques without declaring. Anything above this has to be declared and Khan or his troupe members had not.